The Department for Work and Pensions (DWP) is facing a legal investigation after a mother of nine took her own life “because the DWP stopped her benefits”. Jodey Whiting, who suffered severely disabling medical conditions, ended her own life in February 2017, shortly after the DWP stopped her disability support payments. The payments stopped because was claimed by the DWP that Jodey failed to attend a work capability assessment (WCA). The 42-year-old grandmother was diagnosed with a brain cyst and curvature of the spine and could barely walk to her own front door, but an inquest has heard that despite her disabilities, Jodey Whiting faced a distressing battle with the DWP for lifeline benefits. Supported by volunteers from the Citizens Advice Bureau, Jodey appealed the DWP decision to end her claim, but was told that due to a backlog in appeals it could take up to sixteen months before her case was reviewed. 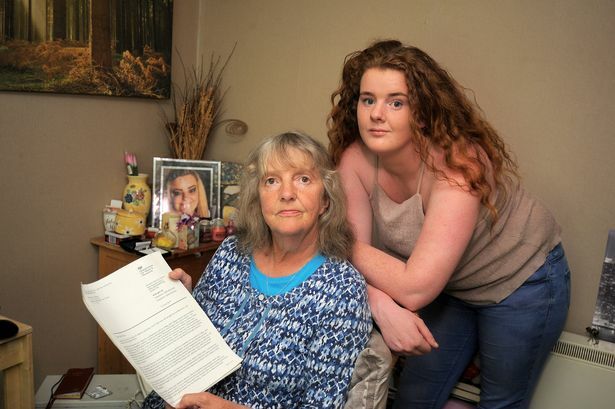 Her mother, Joy Dove, who assisted her daughter in claiming the lifeline support she was entitled to, has taken up the battle with the DWP following her daughter’s death. She told Gazette Live: “To have to wait another 16 months is devastating, but we can’t do anything about the fact there are so many cases that need investigating. The case will now be investigated by an Independent Case Examiner (ICE), who will look at the circumstances surrounding Jodey’s death and whether the DWP’s decision to stop her benefits affected her metal state at the time of Jodey’s suicide. Jodey had been sent a letter that instructed her to attend a work capability assessment on January 16 last year, but missed the mandatory meeting while being in hospital because of a brain cyst. She knew nothing about the appointment. On February 6, the DWP ruled that Jodey had not ‘provided sufficient evidence’ for missing the appointment and stopped her disability benefits. Jodey raised concerns about the decision on February 10 and made a formal appeal on the 13th. She killed herself on February 21, before a different DWP decision maker had reviewed her case and decided on February 25 – just four days after her death – that she should have continued to receive disability benefits. A message about the ruling was sent to Jodey’s mobile phone inbox after her death, despite the DWP being informed of her death. This despicable, cruel regime has since 2010, conducted the most heinous and relentless operation, designed to steal the money allotted to them by the DWP-ATOS sanctions team as support for their being lawfully in need of support and living in abject and desperate straights. Perhaps if the government stopped giving handouts to the private companies that are vulture-profiting on the backs of those of us who are ll or disabled, there would be no need for them to cut people’s lifeline support at every single opportunity, regardless of how irrational, unfair or uncivilised this predatory behaviour is. The government is paying the likes of Maximus and Atos more money to treat disabled people in ways that violate their human rights that they are actually saving by employing these companies to reduce the number of people with successful claims. It’s not even justified on ‘economic ‘grounds. Unless you happen to be a circling vulture capitalist without principle, of course. Your Donate button isn’t working. Pingback: “DWP is facing investigation following the suicide of 42-year-old mum of nine” | Politics and Insights | COMRADE BOYCIE: VIVA THE ANTI-tORY / BIG BROTHER REVOLUTION! God only knows how long this almighty battle with the Government will continue. This is a Government Department: the DWP is a monstrous, faceless, bureaucratic arm of ‘Government’. They have this fancy ‘Charter of Standards’ (a series of fiery hoops) outlining procedures for communicating with them that have to be followed to the ‘nth’ degree and timescales for response to enquiries and letters. It is all complete and utter nonsense: a complete fabrication. They simply don’t respond to letters at all: not even ‘recorded delivery’ letters. Written communications are completely ignored. I waited six months for payment of my ‘old age pension’ (that took three letters before I received a grudging telephone response) and didn’t get so much as an apology. That was ‘my money’ owed to me and they simply couldn’t have cared any less! DWP have lost all semblance of public respect and revealed without shame, guilt or remorse what a heinous, corrupt, cold, calculating and despicable organisation they are: run by self-serving politicians with fascist mentalities and medieval philosophies whose stinking ideology is killing people. New legislation resulting from the shameful acts of UK government are sorely needed to protect those who fall within DWP’s sphere of care. Those committing crimes against humanity – those signing policy for social security delivery – cannot be prosecuted then what good is the law? Sometimes one wonders if there is any part of the entire establishment that is noble at all? What steps have Sainsburys undertaken to make sure that their customers are aware that their data (CCTV images) is being shared with the DWP? How far does this cosy arrangement on data sharing go, for instance does Sainsburys provide bulk details of till transactions so the DWP can trawl through it and analyse the expenditure of benefit recipients? Just six words sum up the whole situation…. What are we going to do about it? they are affecting the lives of thousands of vulnerable and often totally isolated human beings. So why are there not thousands of voices in a unified stand against these calculated and callous atrocities. So many charities, food banks and free support services have allot to say about the situation. none of it good! Many of us fight for too long for what is later proven a right and has forced many into predicaments that leave the strongest of people, completely shattered and traumatised further from the experience. Everyone that wins a tribunal or Mandatory reconsideration has the ability to prove their initial assessment decision was wrong. For those less fortunate, but who should equally qualify for their benefits, often give up the fight, left too traumatised to continue pursuing the appeal process. Another cruel fact the DWP rely upon. QUOTE “Perhaps if the government stopped giving handouts to the private companies that are vulture-profiting on the backs of those of us who are ill or disabled, there would be no need for them to cut people’s lifeline support at every single opportunity, regardless of how irrational, unfair or uncivilised this predatory behaviour is. The government is paying the likes of Maximus and Atos more money to treat disabled people in ways that violate their human rights that they are actually saving by employing these companies to reduce the number of people with successful claims. It’s not even justified on ‘economic ‘grounds. Unless you happen to be a circling vulture capitalist without principle, of course.” – Kitty S Jones you sum it up so perfectly. DO NOT GIVE UP – EVER!